There’s nothing better for a set of aching feet than a warm massage. Not everyone can drop by the spa after a day’s work though. For those people who have to squeeze their relaxation in where they can get it, the Warming Foot Massager will help you relax right at home. 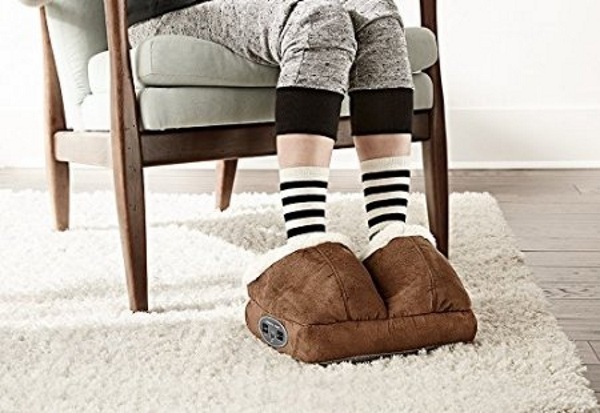 This foot massager looks like the marriage between the fluffiest pair of slippers ever and a couch cushion. You slide your feet into the ultra-soft, lined foot portion and switch on. Feel your aches melt away as the heat and vibration work. There are two levels of vibration and the heating is optional. You can also just use the heating element if your feet are just chilly. They are one size fits most with the max size being men’s size 11. These are not slippers! They are not made to walk in and are a stationary device. Sit down and enjoy the relaxing vibrations after a hard day. Or an easy day. Whatever, everyone deserves a foot massage. 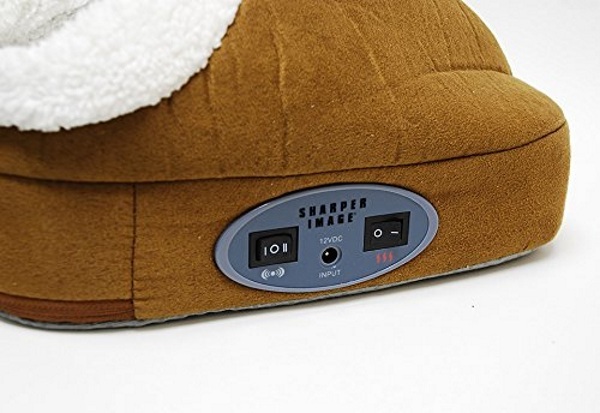 The Warming Foot Massager is $49.